My wife, Denise, and I started growing orchids in 1965. 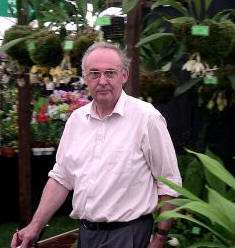 We are hobby growers concentrating on growing orchids requiring rain forest conditions. Most of our plants originate from Central and South America. The plants, therefore, are not suitable for growing in the home. We have two greenhouses, each 24ft x 60ft. 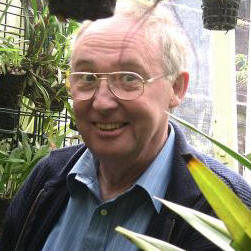 It has taken many years to learn which orchid genera can be grown in our greenhouse conditions. Today, we are growing, Acinetas, Angulocastes, Lycastes, Bulbophyllums, Gongoras, Paphinias, Sievekingias, and Stanhopeas. 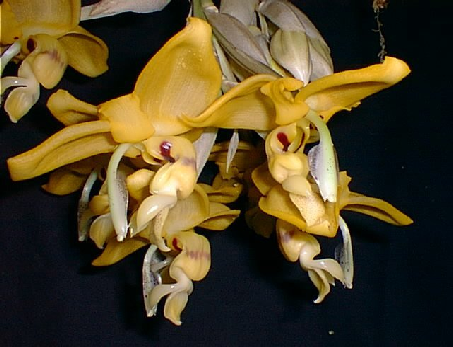 Over the years our favourite genus has been Stanhopea. 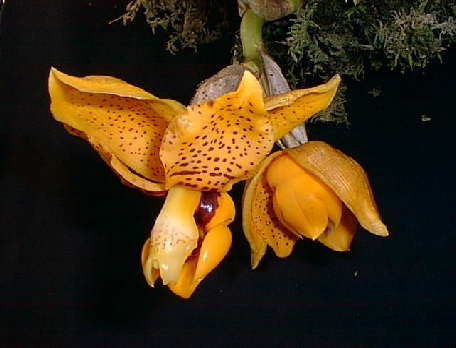 In 2001 our collection of Stanhopea was awarded National Collection status. It was at this time that we felt a need of a website to enable us to share the pleasure that we were receiving from our Stanhopeas. The website, therefore, concentrates on our Stanhopeas. For many years we have produced seed pods. The seed has been sown and grown to flowering sized plants on Foxdale Orchids premises. 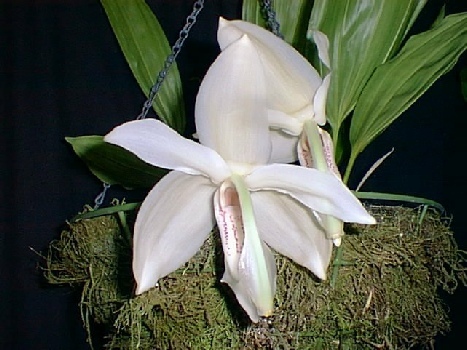 All of our photographs have been taken of plants in our collection.